1. Get access to AFFINImeter-NMR. 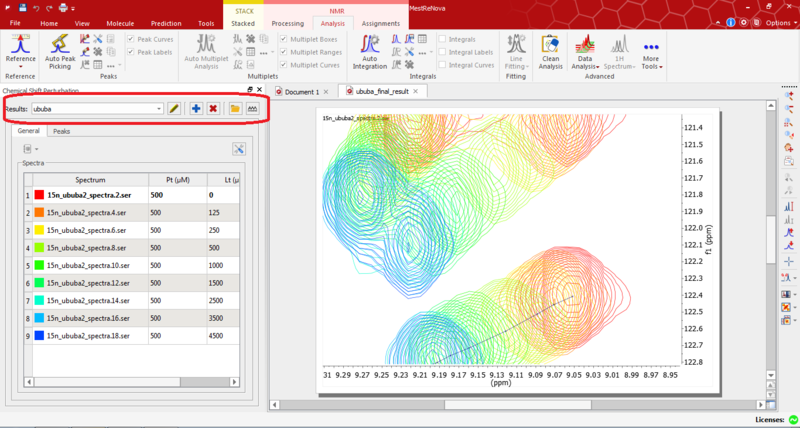 A. Upload the data that you want to analyse, click on “file” and open your file or drag and drop the file, and click on AFFINImeter logo to send the data to AFFINImeter software. B. 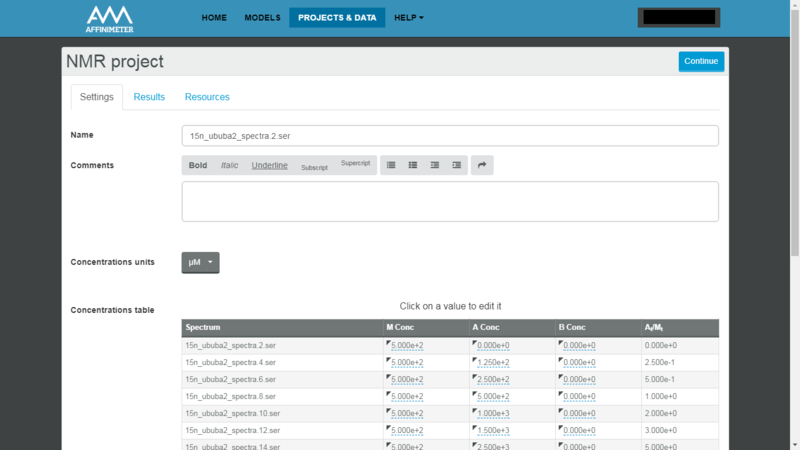 Once you clicked on the AFFINImeter logo, it will appear the following window. 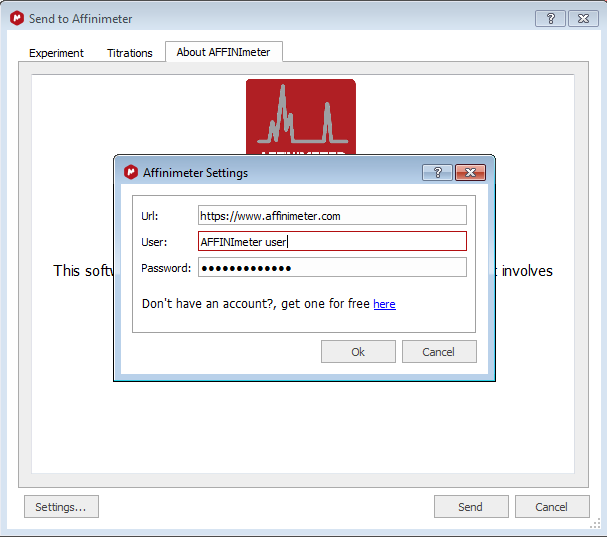 Click on "settings" and enter the Url: https://www.affinimeter.com (it will appear by default), your AFFINImeter user and password, click on "OK" and then click on "send". C. Automatically a new tab will pop up in your browser.